Great Outdoors, Chatham St, Dublin 2. Have you already climbed a 5,000m peak? Are you ready to take things to the next level? 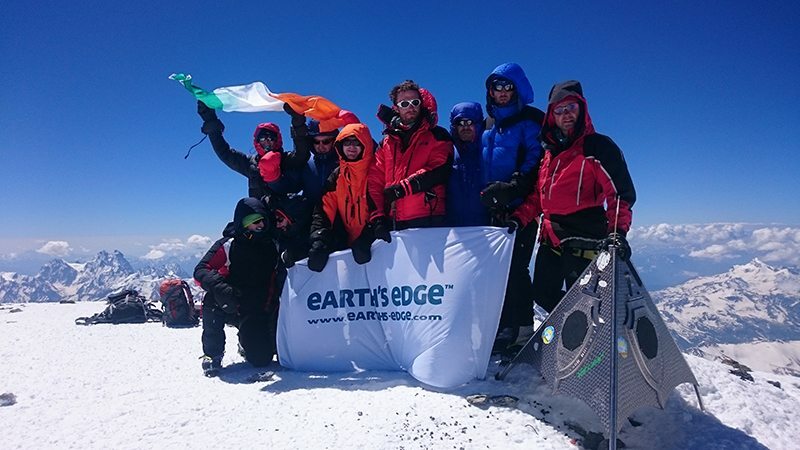 Then one of these Earth’s Edge ULTRA expeditions could be your next challenge! 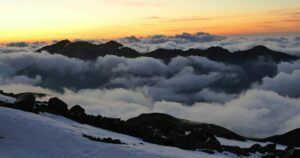 In 2016 – Earth’s Edge changed their Elbrus itinerary and now ascend Elbrus from the Northside. This route is much harder with a 1,900m elevation gain on the summit day. Previous experience on mountains above 5,000m is a must. The route from the North side is a much more beautiful and less crowded route than the classic route on the south side. Standing at an impressive 5642m (18,481’), Elbrus is Europe’s highest mountain and one of the ‘Seven Summits’. Elbrus is located in the Caucasus Mountains which separate Europe and Asia stretching almost 1000km from the Black Sea to the Caspian Sea. This beautiful mountain range has some fantastic scenery with vast mountain views, alpine meadows and dense forest. Our 14-day itinerary allows plenty of time for acclimatisation and flexibility in the event of bad weather. Weather plays a huge part in a successful summit attempt with high winds, blizzards, thunderstorms and thick mists common even in summer. Elbrus is covered in snow 365 days of the year and crampons and ice axes are required to reach the summit. However, the route is not technical and we provide all the necessary training on the expedition. As well as camping throughout the itinerary the summit day involves a 1,900m ascent which can take over 16 hours. Our Aconcagua climb takes you to this towering peak of 6,962m at the heart of the Andes. Aconcagua is the highest mountain in both the Western and Southern hemispheres. The exact origin of its name is unknown, however, the Inca word ‘Acon Cahuk’ translates to ‘Stone Sentinel’ which is befitting of this giant peak. Although Aconcagua is considered a trekking peak and no technical mountaineering is required to reach its summit, it is far from easy. 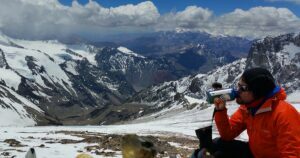 The complexities of proper acclimatisation, high winds, extreme cold and a long summit day make climbing Aconcagua a formidable challenge. Our 21-day itinerary allows for proper acclimatisation and has the flexibility to accommodate bad weather, maximising your chances of reaching the summit.